There are several ways you can monetise your blog traffic. The fact is there are too many confusing articles out there which makes it very difficult for small publishers and site owners to understand. This means that new bloggers have a lot of information on their hands but can’t make use of it. In this post, we decided to evaluate the best ways you can monetise your traffic as a small publisher and make the best out of it. Promoting your blog is an important task. You can’t do otherwise: for getting good results you must work on different fronts. But at first, you have to remember to always show what you’re good at. To publish quality contents constantly: your audience has to be interested in what you’re talking about. To moderate spam with serenity: Its always better to remove all spammy comments and content linking to your blog in order to get better rankings in search engines as well as inproved use experience. To get more and more visibility. There are several ways you can increase your blog traffic before thinking on how to monetise your blog traffic. Most of them require hard work and constituency which lead to actual results of organic traffic. As you might have heard or known, organic traffic is one of the most important traffic as it very targeted. getting organic traffic require not just writing quality blog content but also optimising your content according search engine requirements. That’s where search engine optimisation pratices come in. If you are interested in boosting your organic traffic, here is a great post that teaches you all you need to know about Blog SEO. Other ways to boost your blog traffic include social media marketing. Using platforms like Facebook, LinkedIn, Pinterest, Instagram and Tailwind will increase your traffic dramatically. However, all the above mentioned social media platforms have a lot in common except for TailWind. 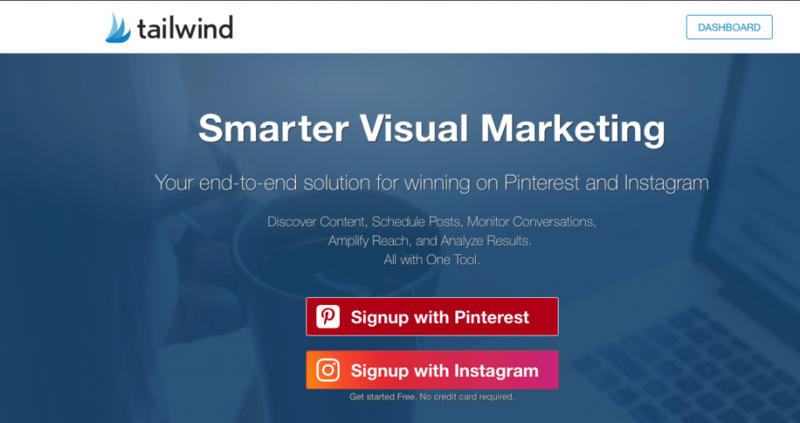 The different thing you can’t find in these other social media platforms is the TRIBE feature you can get in Tailwind. Tailwind tribe is a powerful tool that allows you to join niche related Tribes and share your content and also share others content to increase your visibility. There are so many special features you can find in the platforms which will definitely have a positive impact on your blogging traffic. My advice for you is to try and it out and see how effective it is for your blog traffic. There are several Ad types you can use to monetise your blog traffic, however, the most used and the most profitable ways are the pay-per-click also known as PPC and CPM which is paid by 1000 impressions. CPM or CPA. These types of Ads are straight forward unlike other Ad types, publishers are paid based on the number of clicks or impressions their traffic is able to generate. Using all forms of Ads on your website to monetise your traffic will generally increase your income especially when done the right way. The right way here means, putting Ads in strategic places in your blog pages and at strategic positions. The pay-per-click campaign is one of the most widely used types of advertising on blogs or websites. With this system, you get paid any time someone clicks on an ad. For example: if someone visits your website and clicks on an ad that is displayed on your webpage, you earn money. The amount you receive varies based on several factors but can vary from a few cents to several dollars per click or a thousand inpressions or views. In most systems, the amount you earn is determined by how much the advertising company is paying for space. 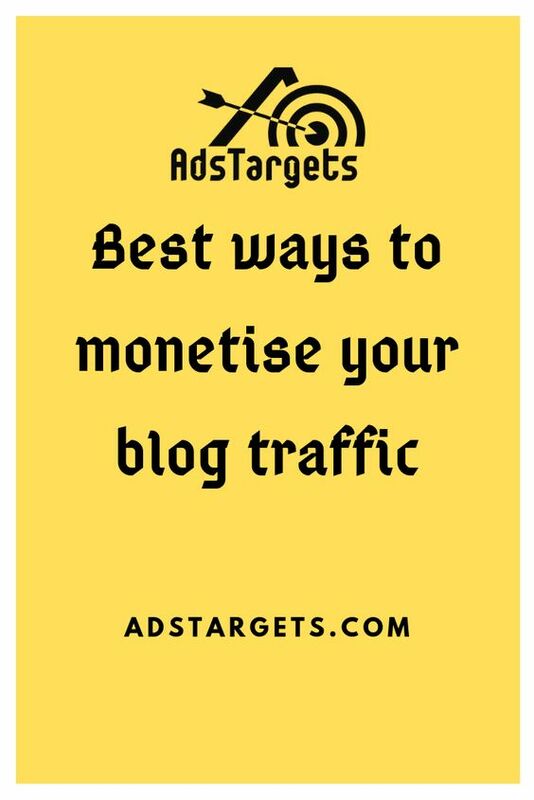 If you are already wondering which system to use to make money with Pay-per-click or CPM advertising, AdsTargets offers you all the Ad formats you need to increase your revenue as a blogger. Another publisher’s ad network is Google AdSense, It’s a very popular advertising service offered by Google. 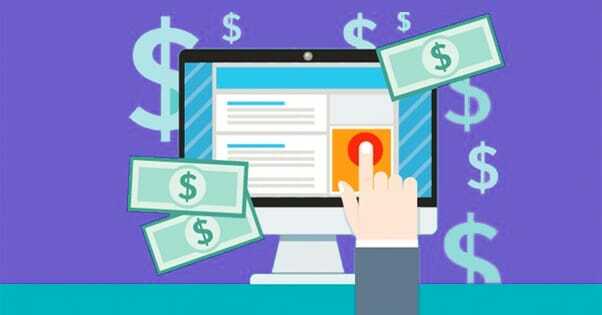 Thanks to it, you can start earning money by placing automatic advertisements on your blog. There is no activation fee and you will be paid for every view or click made on the ads by site visitors. Another great way to monetise your blog traffic using display Ads is to do it using CPM Ads. Some online marketing companies offer pay-per-impression platforms. With this system, you are paid every time the advertisement is displayed on your site. If someone visits your website and sees the ad, you earn, even if the ad is not clicked. Most of the time, the amount collected is counted for every thousand impressions of the ad. If you then display ads on multiple pages, or use multiple banners, this figure increases accordingly. That’s how they earn news sites, have you ever thought about it? There are many affiliate programs out there that allows publishers to make money by promoting their affilliate links or banners within their webpagees and earn a commision ones their visitors puchase through those affiliate links. Many companies allow anyone who wants to sign up for their affiliate programs where you can get an affiliate link for each product on the portal. These links can be published on your blog or on your social profiles and, if someone clicks and buys something, you are paid 10% commission on the amount paid by the user. Earning with affiliate marketing means earning money by promoting the products of others. The important thing is to choose products in line with your niche and quality, and those ones your audience needs. Many bloggers ask their readers for a donation to keep the blog alive. It is very easy to insert them directly on your site, to allow the aficionados to contribute to the quality content you are publishing. When you are doing a great job, your blog readers will feel the need to buy you some coffee. That won’t just happen if you don’s ask for it. Don’t be shy, ask your readers to buy you a cup of coffee and they will especially if they value your content. Once you are able to have a lot of traffic and possibly become a famous blogger in your niche, you have the ability to control a large audience as many of your readers will become your follows on social media platforms. Using social media could be a great way to monetise your blog traffic, we are talking about Instagram, Facebook, LinkedIn and others. You can actually charge businesses to advertise their product and services. Businesses are making it big these days by selling through influencer marketing. Once you reach fame with your blog, you can convince your users to follow you on Instagram to increase your notoriety and your followers so that you can then contact companies related to your business that need to advertise their products, acting as influencers. However, As I mentioned, you need to work hard for you to get famous before venturing into influencer marketing. These days you don’t actually need to be a genius or a programmer to create APPs, Plugins or other web applications, you can actually hire a programmer to create anything you want for a token. What you need to do is to figure out a good product or service that solve problems for digital marketers. Once you are able to figure out what you want, you can start messaging freelancers on Fiverr.com and freelancer.com explaining your idea. Once you are done creating your product or service, you can Add that to your blog and start marketing it. The best way you can market it is to create explanatory videos and write a tone of blogs about it. This way of monetise your blog traffic has significant impact on your income and general online growth as a blogger. Once people start noticing your product, you will start selling and making money especially when it solve problems for businesses. Again, if you know how to program or have some programming skills, you can create free WordPress plugins. In this case, obviously, your income will be indirect, but I can guarantee you that, once your plugin is approved and appears in the WordPress.org directory, you will get excellent links and lots of traffic that will allow you to improve (so much) the positioning of your blog, and consequently to increase the earnings of your blog. The first step is to not think about monetizing. You, who are reading this article, you are starting badly if that one is your first goal, because it will come by itself, over the years. Invest today to see results in 2-3 years. And to “invest” I mean just thinking about creating quality content. You need value creation at the center of your strategy. Always. Pay per click Ad network also knowns as PPC ad network or PPC advertising Networks are all online ad networks used by both publishers and advertisers around the world for buying and selling traffic. Some of the CPC advertising networks also implement other advertising bidding systems such as CPM which is the cost per 1000 impressions which is preferred by a lot of publishers. Some advertisers and publishers these days are so interested in CPM Ads which is seen in the rise of CPM advertising and on the Publishers side demanding more CPM Ads for monetizing. The questing which is always asked by publishers and advertisers most often is, What is the best PPC Ad Network? This question should not be complicated at all but in reality, It is somehow complicated. The reason is, it depends on who is asking this question (Advertiser or Publisher). In this post, we want to address this question by taking into account the person asking this question is a publisher who’s main goal is to monetize his or her Blog or Website’s traffic. What is the best PPC Ad Network for Publishers? High paying PPC Ad Network: Ad networks that pay publishers high PPC rates should be every publisher’s target. This is because most publisher’s primary objective is to make money blogging which means they need PPC Ad networks that are not so greedy but also understand that publishers need to be paid fairly and decent commissions. Some of the top advertising networks in most cases are not the highest paying advertising networks which make them top advertising networks in terms of size, the share of the market and revenue. Sometimes the top advertising networks may be the ones in your country or the ones that serve PPC or CPM Ad within your geographical location. Since we are more concern about the PPC Ad Network for publishers in this blog post, here are few PPC Ad Networks that pay high PPC rates. The above Ad networks are known to be the among the best PPC Ad Networks for publishers. Even though some of them have different requirements of accepting publishers, you can still give it a try by trying them out. 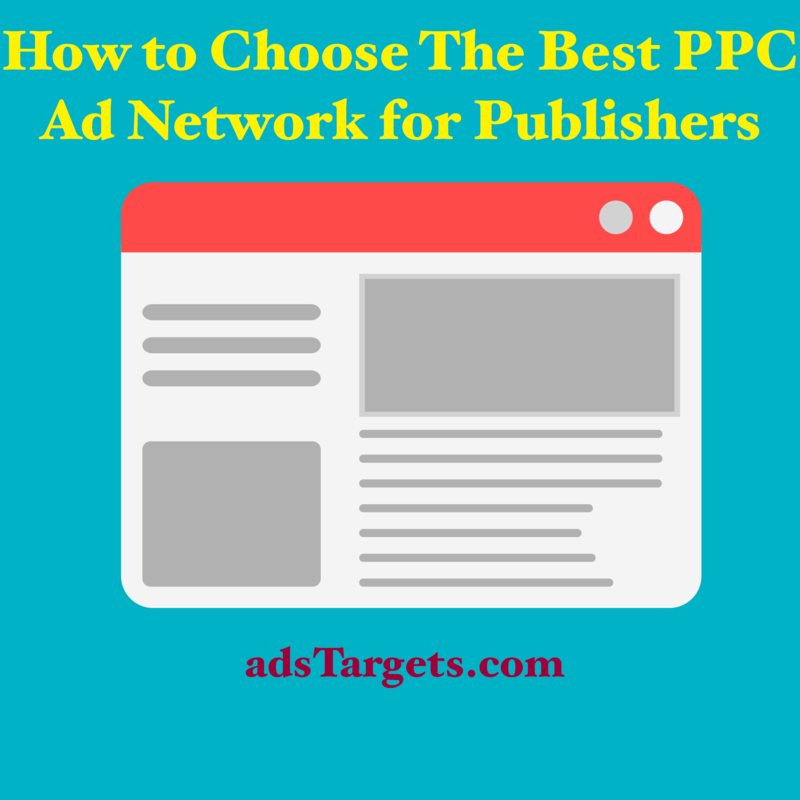 How to choose the best PPC Ad Networks for publishers? As a publisher, making this choice is sometimes not easy. However, there are few things to consider when choosing a PPC Ad Network to monetize your traffic. The ideal PPC Ad Network should be able to accommodate your Blog or website traffic and accept you as a publisher. that’s the first thing you should consider before even signup. First, ask your self, will they accept the quality of my traffic. This question is important because as you know, not all PPC Ad networks will accept all publishers. Sometimes, it’s because of the quality of your traffic, your content and content language and in most cases the amount of traffic you have coming to your Blog or website daily. How much traffic will be acceptable for the PPC Ad Network? Does your content match their requirements? How much do they pay for PPC Ads? How much their payment threshold? If you can answer YES or give thumbs up for all the above questions, then you should consider such PPC Ad Network as your best choice. 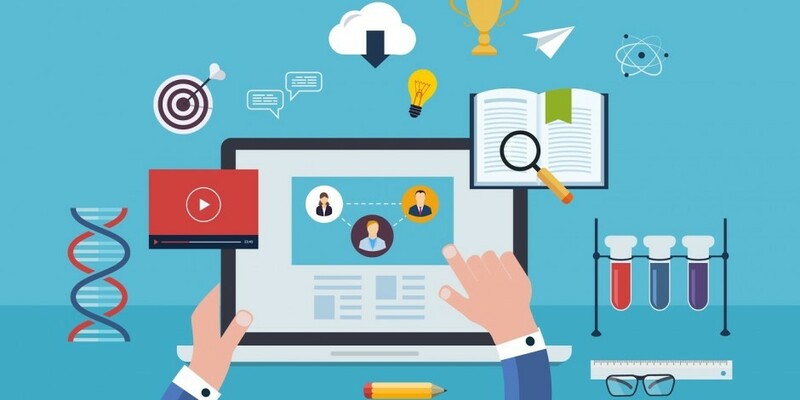 The online advertising network is also known as an online ad network or Networks is simply other advertising businesses looking to connect advertisers with publishers for easy advertising and monetizing purposes. An online advertising network or Networks care about creating the bridge needed by both parties both to sell and buy traffic also they care about the growth of their business. An online advertising network makes money when advertisers pay and create ads which are then shared on publishers websites and blogs. the revenue generated here is shared among the online advertising network and the publisher. However, this is where the online advertising network has the power to decide how much commision it shares with the publishers. For publishers, it is very important for them to make money which makes sense for them to join an online advertising network that at least pays high commissions. the truth of the matter is that, without the publishers, an online advertising network won’t be able to make money that much so it should be willing to pay publishers high rates so they can stay for the benefit of both parties. Even though the online advertising network has a lot of costs to take care of such as administrative cost, employees, server maintenance and all that, it should still be able to fairly pay publishers. This is one of the primary goals of AdsTargets. 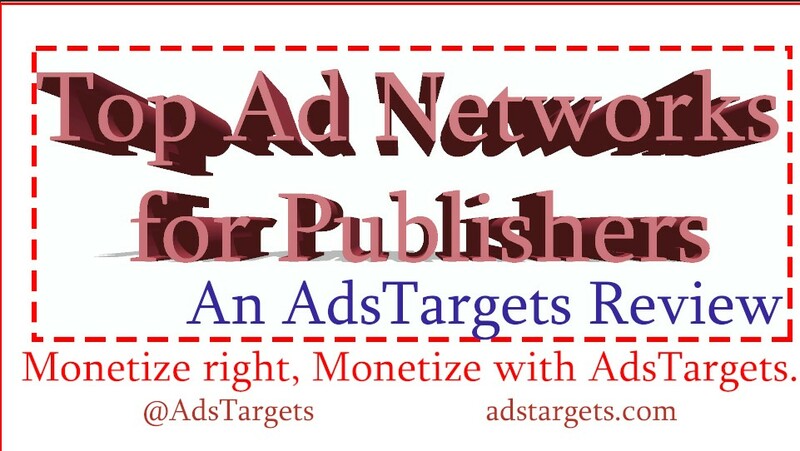 We at AdsTargets, we hope to be the highest paying Ad Network for publishers worldwide and we are working hard to achieve this goal. Publishers, as well as advertisers, need to understand what is CPM advertising and PPC Advertising before venturing into to start both CPM advertising and PPC advertising. The simple explanation for these two advertising terms are simply the differences that exist between their pricing models. For CPM advertising, the advertiser is charged a certain amount of money, for example, $4 per 1000 unique views or impressions. At the same time, the publisher that choose to monetize with CPM advertising is also paid per 1000 impressions or views a certain amount, for example, $4. For PPC advertising, the advertiser is charged per each click a certain amount, let’s say for example $0.5 per click, the same applies to a publisher that choose to monetize through PPC pricing model, they are paid per each click that comes from their traffic. That’s simply how CPM advertising and PPC advertising works for both publishers and advertisers. Even though this post is more about publishers, advertisers are also advertiser to scrutinize the so-called ad networks for advertisers before signing up for advertising. There are a lot of ad networks for advertisers for advertisers out there that claim to have all the best and up to date features while is not true in most of the cases. Our advice here is simple and targeted specifically for advertisers, Be aware of the Ad Network for advertisers you choose to join and entrust your advertising to them. As a publisher, we hope this will guide you in making the right decision when it comes to choosing an Ad Network to monetize your traffic. It is imperative you consider asking your self those questions we raise above in the article. Again, If you are happy with your current Ad Network, please we will be happy to hear your story in the comment section of this post. Adsense alternative ad networks for publishers are many nowadays. Publishers search the web every day looking for Google Adsense alternatives in order to monetize their traffic. However, a simple search could return millions of results for keywords such as “Best Adsense alternative ad network”. 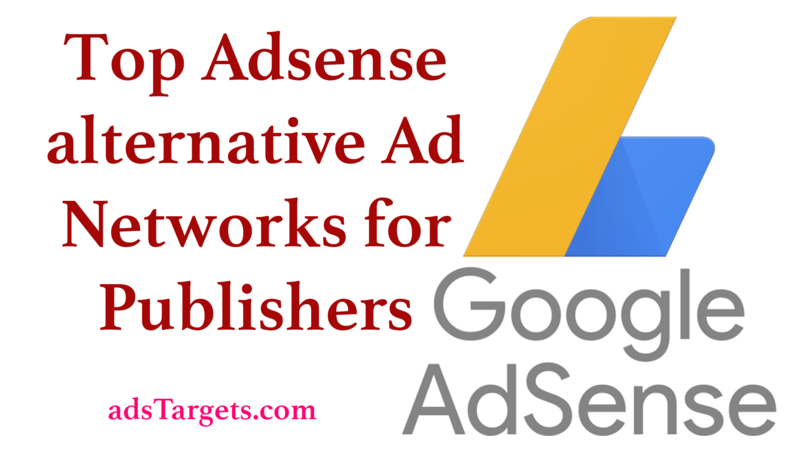 “Alternative Ad networks to Google Adsense”. This doesn’t only get publishers confused but also lead them to make a horrible decision when deciding on which Adsense alternative ad network to choose. What makes it even more difficult is because most of those Adsense alternative claim to be high paying AdSense alternatives which in most cases they are not what they represent. As new Ad Networks come on board every year, most of them struggle to get publisher’s attention which leads to a false representation of their brands. To make things easy for publishers and also present them from falling into the wrong hands, we craft this post while suggestion the best options they can choose from starting from AdsTargets. In this post, we spent some time comparing among the top Adsense alternative Ad Networks for publishers. We simplify things for your decision-making process. so… stay with us on this and trust us you will be happy you found this blog post. Many of you might think why AdsTargets comes first on our list. You are right to think that way cause AdsTargets is relatively new and not as large as other Adsense alternatives. our reason is simple. AdsTargets Ad Network made our number one list because AdsTarget runs virtually the same Ads types run by Google Adsense. Apart from Ads, AdsTarget made things easy for publishers to register and start showing ads on their website and blogs. 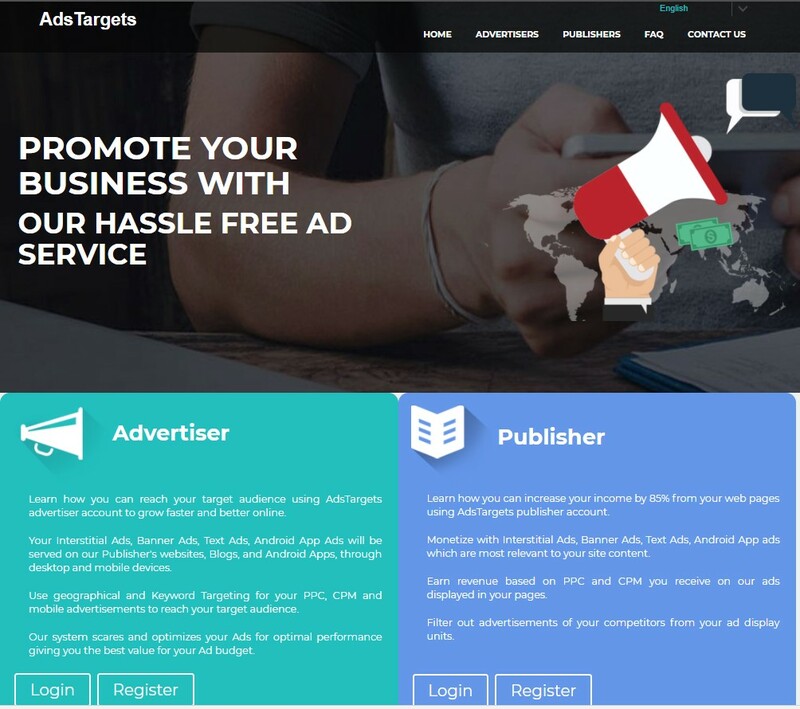 AdsTargets has a powerful advertising technology that enables advertisers across the globe to advertise on a hassle-free advertising platform while those Ads are served on publishers all over the world making them money like never before seen in the history of monetizing. 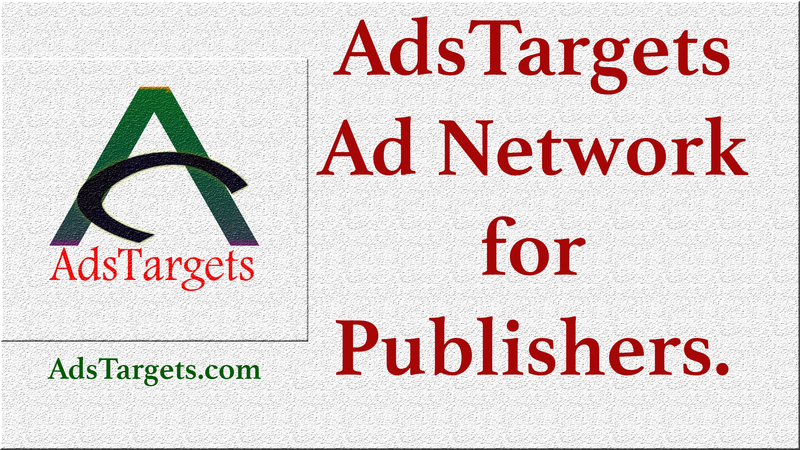 AdsTargets accepts publishers all over the world. Adstargets do not have though requirements for accepting publishers like other Ads Networks which makes it easy for publishers to be accepted. this is another winning feature to be compared with Google Adsense. As a publisher, your content plays a vital role in being accepted by AdsTargets. Your website or blog will not be accepted if your content is about or have some potion of violence, drugs, racism and any form of illegal activities and discrimination. For more information on that, refer to Publisher terms during application for more details. Website and blog with such content will not be approved by AdsTargets. Another factor that differentiates Adstargets and Adsense is their threshold, AdsTargets threshold is only $35 which makes it another Adsense alternative ad network for publishers. On the other hand, Google Adsense threshold is $100 which take very long for most publishers to reach that point. Make money showing Ads on your website or Blog Start today!! AdsTargets and Adsense pricing models are similar. Both Ad Networks pays their publishers based on Cost per click (CPC) and known ad Pay per click (PPC) and CPM which is a cost per 1000 impressions. We will cover how these pricing models are calculated in details in our next post. AdsTargets and Adsense both pay higher for clicks and impressions that come from certain geographical areas or countries such as the USA, The UK, Germany etc. This is basically because of the click value that comes with those clicks. Also, Adstargets pay better commissions if the clicks come from the advertiser’s target location. 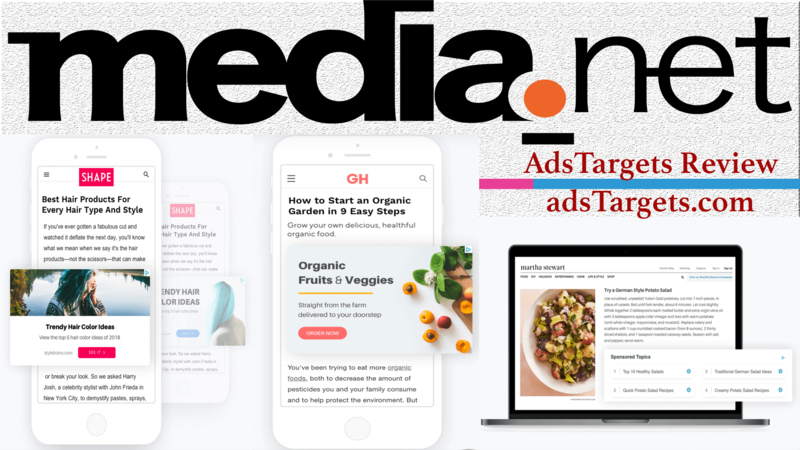 AdsTargets allows publishers to monetize with Banner Ads, Text Ads, Interstitials also known as Full-screen Ads, In-App Ads also on both Desktop and mobile devices. As a publisher, you will be able to make money within the first few weeks of monetizing your website or blog with AdsTargets. Media.net is powered by Yahoo and Bing and controls a reasonable amount of the advertising industry. Media.net have one of the most advanced advertising technologies, it is one of the leading contextual advertising and monetizing platform in the market today. the company has grown to employ over 1300 employees according to their latest figures shown on their about page. Their operations spread through America mostly the USA and Canada, Asia and Europe. However, their traffic distribution by Ad Spend/Revenues in 2018 mostly comes from the USA with 90%, 5% in the UK and Canada while the rest of the world takes the last 5%. Of these, mobile takes 62% and desktop 32% by devices. Media.net net is known for contextual ads, Native Ads which they run on desktop and mobile devices, they also run banner Ads and Interstitials also known as full-screen Ads. Their inventory is very similar to Google Adsense and AdMob which make it an Adsense alternative Ad networks for publishers. Media.net Payment threshold is also $100 similar to Google Adsense. 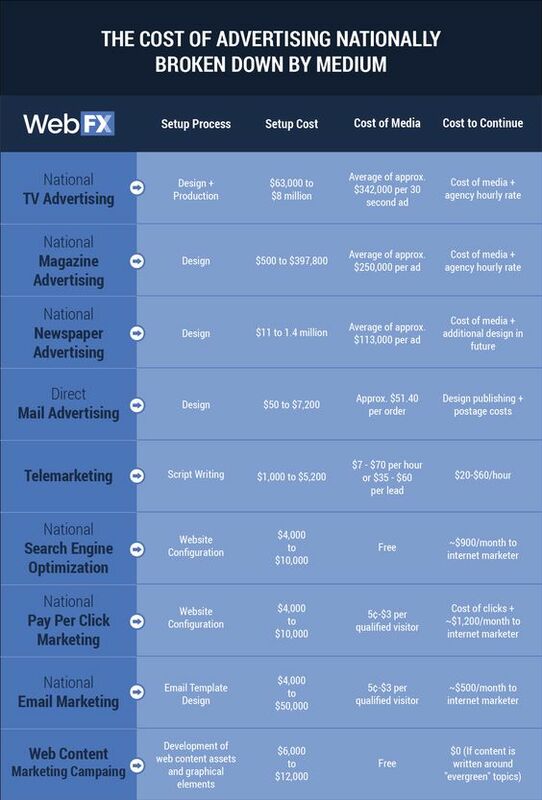 These similarities make media.net a top Adsense alternative ad network for publishers around the world. In general, Media.net has almost everything you can get from Google Adsense. Most publishers are okay with their payments terms and they usually pay through Paypal and Wire-transfers while Google Ad sense does not use Paypal at all in paying publishers. The Ad network started in 2011 and has grown so fast and so big over the last few years. even though they might not have a similar business model like Google Adsense, they have served as a great alternative for publishers and in some cases pay higher CPMs for publishers. In figures, PropellerAds have over 5000 publishers, 4600 Ads Campaigns, about 700,000 Ads impressions daily, about 8600 leads monthly. 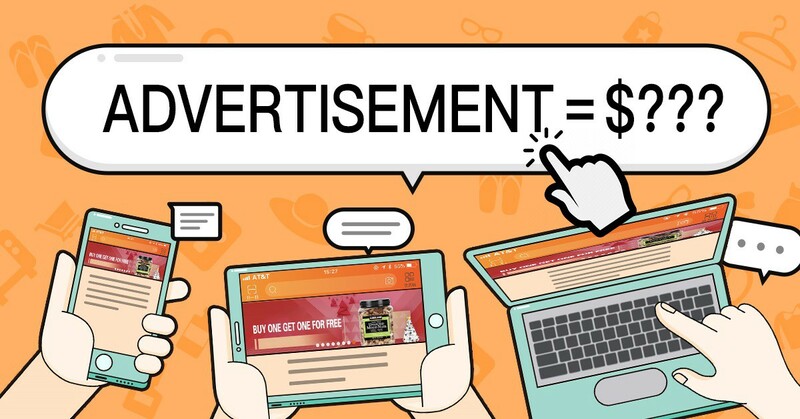 The Ad Network offers a multi-channel advertising solution such as Display ads, video ads, mobile ads, and in-app across desktop and mobile devices. Their advertising technology also offers great customization possibilities for both advertisers and publishers. PropellerAds pay their publishers through Paypay UDS, Skrill USD, Wire USD, Wire Euro, Webmoney z, Payoneer prepared MasterCard and Payoneer Bank transfer are all payment options you can use as a publisher at PropellerAds. My reason for saying is simply because of their Ad format that comes inform of recommended content that looks like a recommended post from your website. Another interesting thing about RevContent is, their Ad units are designed to blend with your content in a way your visitors will hardly know its Ad content which also makes a lot of sense as it does not interfere with your audience purpose of visiting your website or Blog. 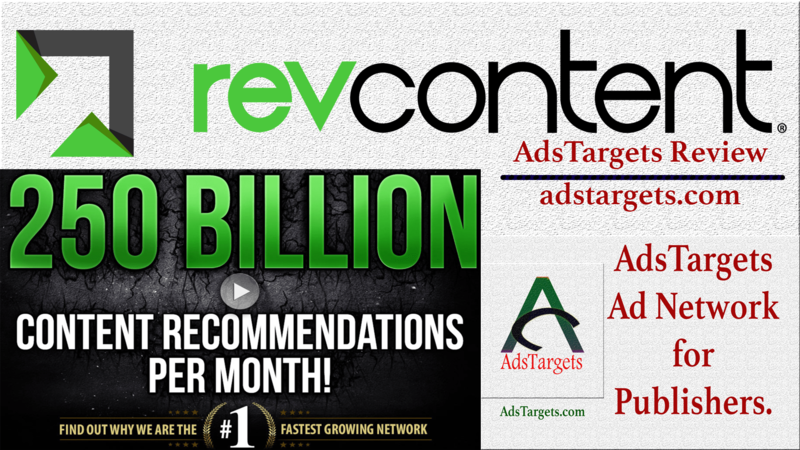 RevContent Ad network is simply the largest content recommendation in the market. Their CPMs are considered very high when compared to other Native Ad Networks. Here is another cool Adsense alternative ad Network for publishers known as PopAds. This Ad Network is for those publishers that want quick payouts and also love PopUps Ads, Pop under Ads, and other similar ad units. PopAds pay their publishers on daily bases as far as they are able to make up to $5 in their accounts. This is the reason why we said its cool for those publishers that want quick cash and get paid every day. Another cool feature of PopAds is that their approvals are easy and setting up your Ads for the first time takes only a few clicks and you are up and running. 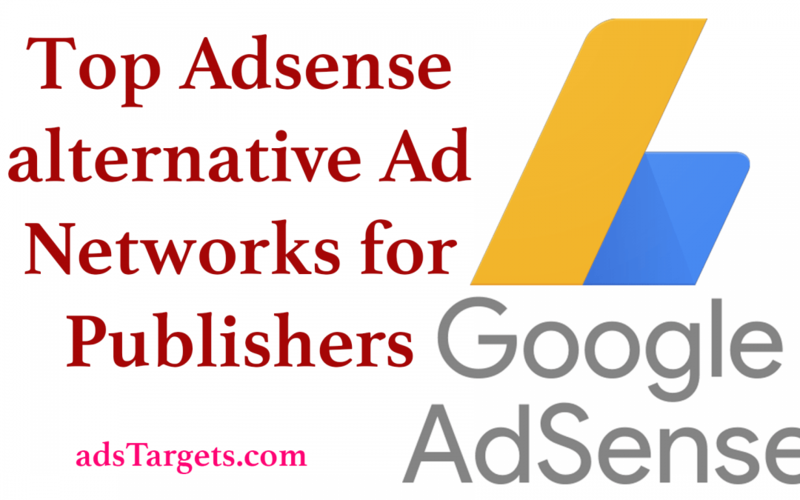 As usual, we bring you a great list of Adsense alternative Ad Networks so you won’t have to go around wondering. 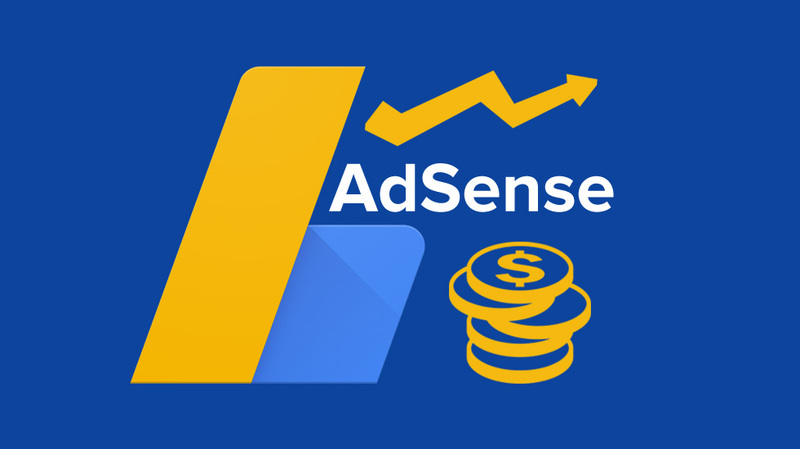 This list is based on facts and proven records and is written with the intent of helping you make easy and effective decisions when choosing Adsense alternative ad networks to monetize your content. Let us know your take on our list in the comment section below.